Whether you like to build things, drive the boat or just socialize with friends, Charles has the perfect hobby for people of all abilities. Scale models have been my obsession from a young age. As long as I can remember, I’ve been into scale models – boats, cars and aircraft, either building, racing, flying or collecting them. Around 20 years ago I started racing electric RC cars with different clubs around NYC, most recently on Staten Island. It got my adrenaline going, and it was great to compete with AB’s (aka Able Bodied) and socialize. When the club in Staten Island stopped racing in 2013, I needed something to replace it. 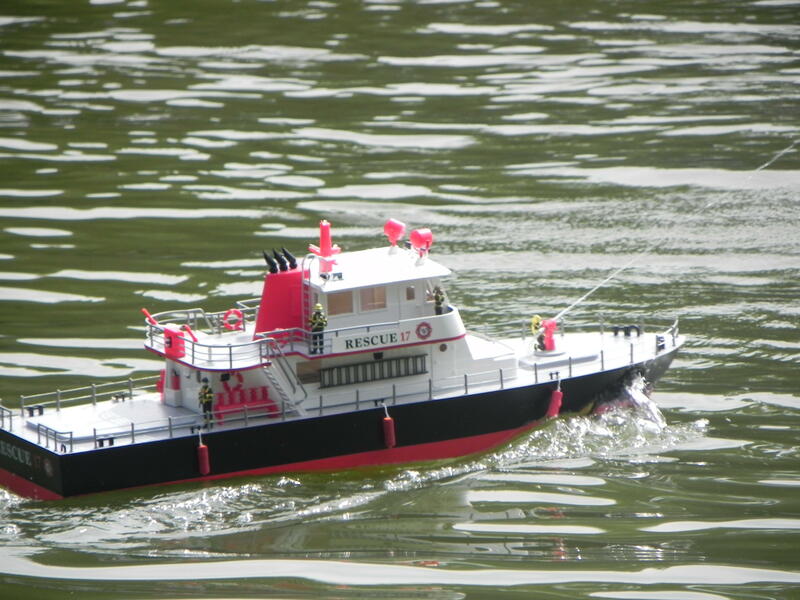 I found Empire State Model Mariners (ESMM) a scale boat club in Queens, on the net. 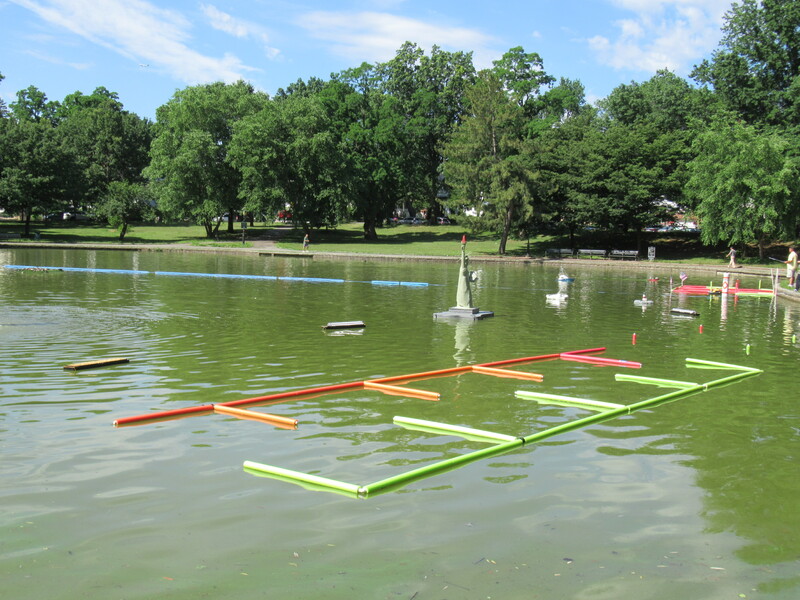 Early summer of 2014, I ventured over to Bowne Park in Flushing, where they sail to check them out. I was immediately hooked. The guys were welcoming and I bought the first of many boats the following week. The sense of relaxation I get running my boats is unmatched. 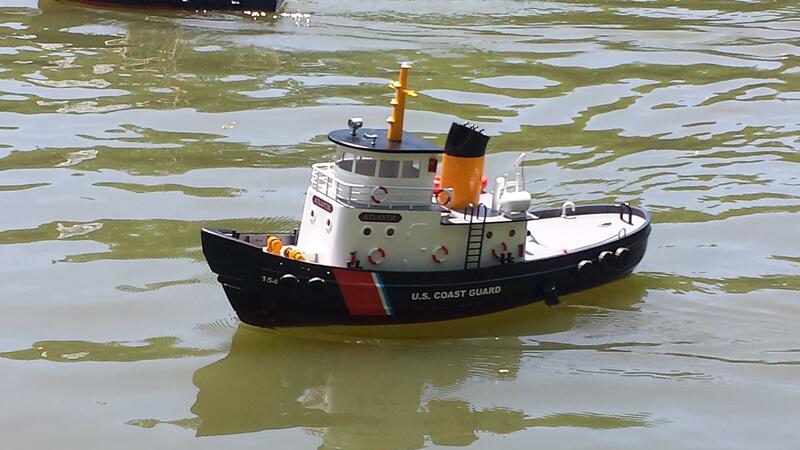 Now, RC scale boats are nothing like RC cars, no adrenaline rush, no tuning or replacing broken parts. 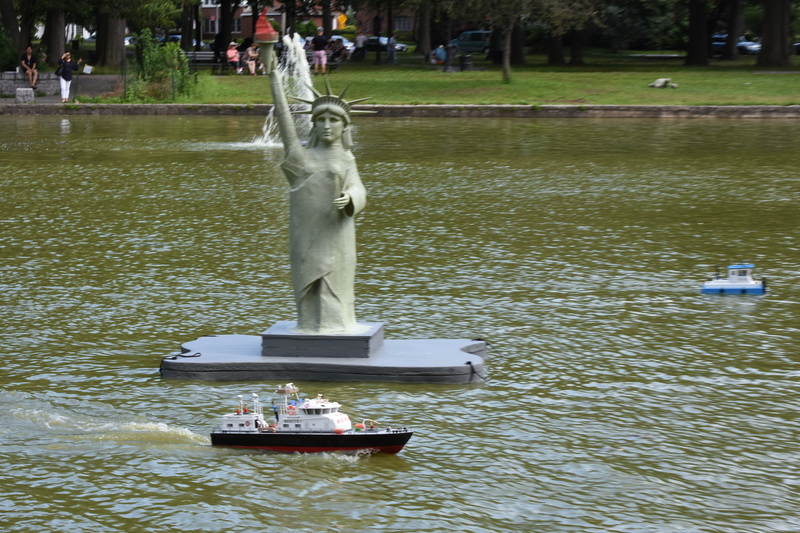 On average the boats are 35″ long, made of a mix wood fiberglass and plastic, with metal or brass parts. 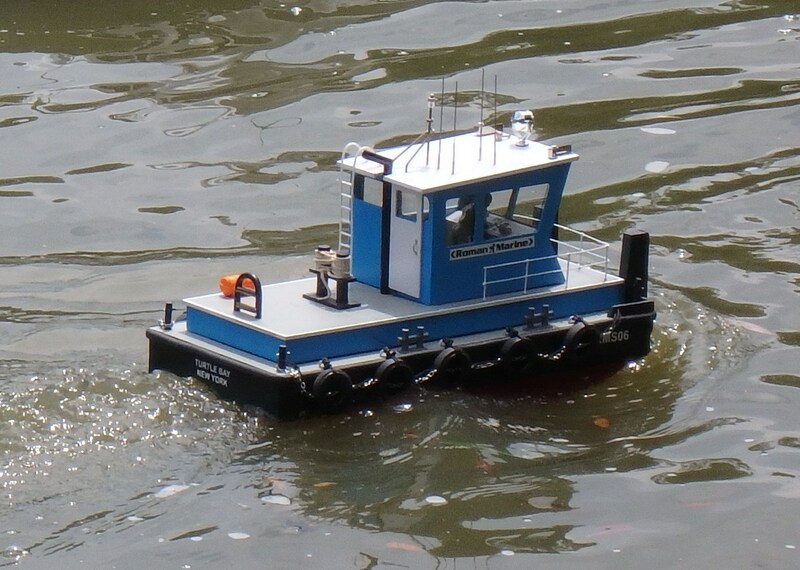 They are powered by 1 or 2 electric motors, and a, 7.5v or 12v battery and controlled by radio. The sense of relaxation I get running my boats is unmatched. This also suits me because of my disability, Muscular Dystrophy (MD). My disease involves progressive muscle wasting so I’m not able to do as much as say, 10 years ago. 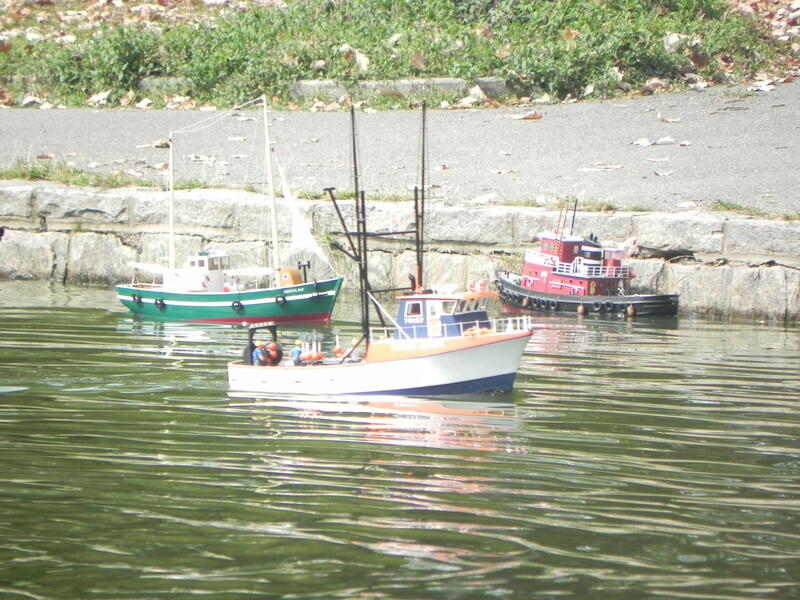 I transport my boats on a trolley, 2-3 maximum, transmitters and a few small tools in my backpack. 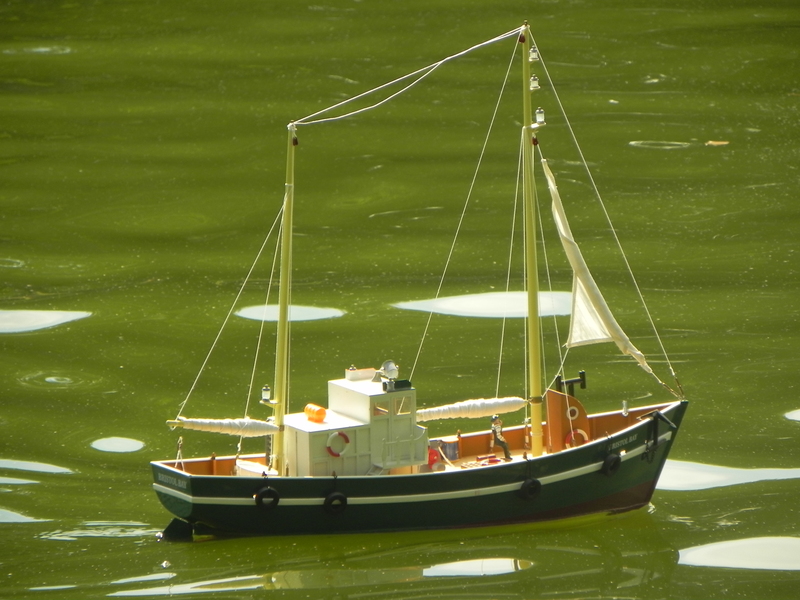 I love spending a few hours in the park on Sundays, sailing with other club members, chatting about boats real and model, and life in general. I am a relative rookie, other members have been sailing for 20 plus years! The club was formed in 1998. 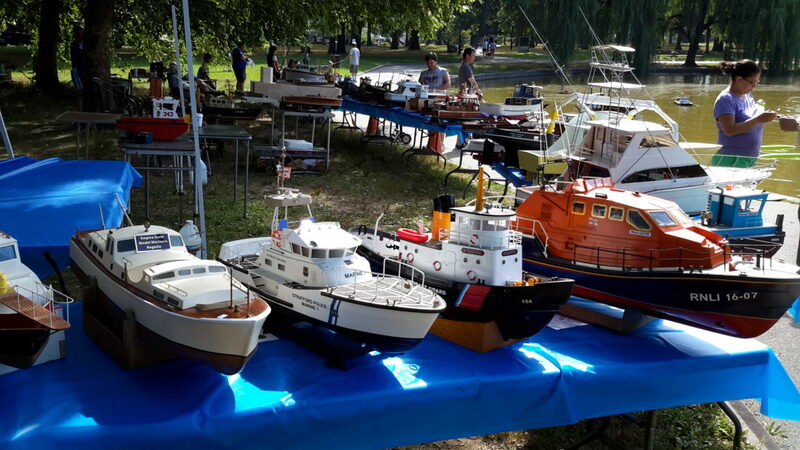 For the past 3 years we’ve hosted the NYC Regatta, with modelers coming from New Jersey, Connecticut and Upstate New York to participate. We also have 4 picnics during the sailing season, April to September, and we have a few evening runs, with cabin and mast lights ablaze. I hope that one day soon you will visit us.